Sacred Games, a Netflix Originals directed by Anurag Kashyap, has been apparently a “great success”, says Ted Sarandos, the Chief Content Officer of the video streaming service. And now with this success, Netflix is looking to expand business in India. The company currently has 125 million users worldwide but hopes to add another 100 million from India. That is the plan revealed by Reed Hastings, the CEO of Netflix when he was here in Delhi last month. So how are these users coming and will you be a part of that? You say, maybe. But the price, Netflix costs Rs 800 per month for the full premium plan, holds you back. Well, how about you pay Rs 200 per month? Sounds good. Let’s see how. In India, Netflix has three plans — a Basic plan which costs Rs 500/month, a Standard plan which costs Rs 650/per month and lastly Premium plan where you’ll need to pay as high as Rs 800/month. Most people tend to go for the plan that costs less — that is Rs 500 or Rs 650 plan, but according to me, the Premium plan or the one that costs Rs 800 — which is the most expensive of the lot — makes more sense. How much do you need to pay to get Netflix subscription? 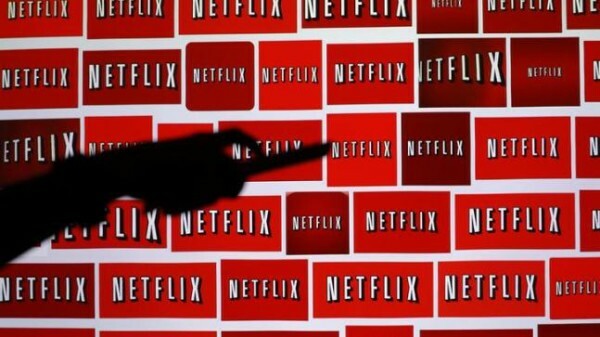 Under the Basic or Rs 500 plan, Netflix offers one screen — meaning only one person can watch movies or shows at a time, flexibility to watch in any device you want be it the laptop, TV, phone and tablet, and access to all movies or shows. Meanwhile, under the Standard or Rs 650 plan, Netflix offers the same services as the Rs 500 plan alongside two new additional features — two screens and videos in HD. As I said, although the Rs 500 and the Rs 650 plans are cheaper on paper, the Rs 800 makes more sense for you to subscribe to. Under the Premium or Rs 800 per month plan, Netflix offers as many as four screens. Meaning, four people can login to one single account at the same time and watch anything they want. In addition, there’s HD and Ultra HD support, flexibility to watch in any device you want, and unlimited access to all shows and movies. Coming back to the earlier question, how much do you need to pay to get Netflix subscription? Answer: Only Rs 200. Here’s how. Going by all the calculations, the lowest that one person will need to pay to get a Netflix subscription is Rs 200, that is if four people take the Rs 800 plan together. However, if you are a new user, you can get 1 month Netflix subscription. All you need to do is sign up. Both Amazon Prime and Hotstar are cheaper than Netflix. To subscribe to Amazon Prime you’ll need to pay Rs 129 monthly, while the annual subscription price goes up to Rs 999. Under the Prime membership, Amazon offers access to Prime Video, Prime Music and also to all the early or exclusive sales on the Amazon shopping app. Netflix, in comparison, has only monthly plans, there’s no annual subscription pack. Hotstar, on the other hand, has two plans — a monthly recurring plan for Rs. 199 and a yearly plan for Rs 999, which also makes it cheaper than Netflix. Netflix is reportedly working on new prime models. There’s, however, no confirmation on the same by the company as of yet. Earlier last month, the streaming giant had confirmed to CNET that it is testing a new tier for its pricing models. The company has also said that the testing is happening only for select users with “Ultra” subscription plan which provides access to HDR content. Talking about the changes in pricing, Netflix spokeswoman Smita Saran said, “We continuously test new things at Netflix and these tests typically vary in length of time… In this case, we are testing slightly different price points and features to better understand how consumers value Netflix.” So as of now, we can expect the price of the Netflix plans to remain the same, at least in India.